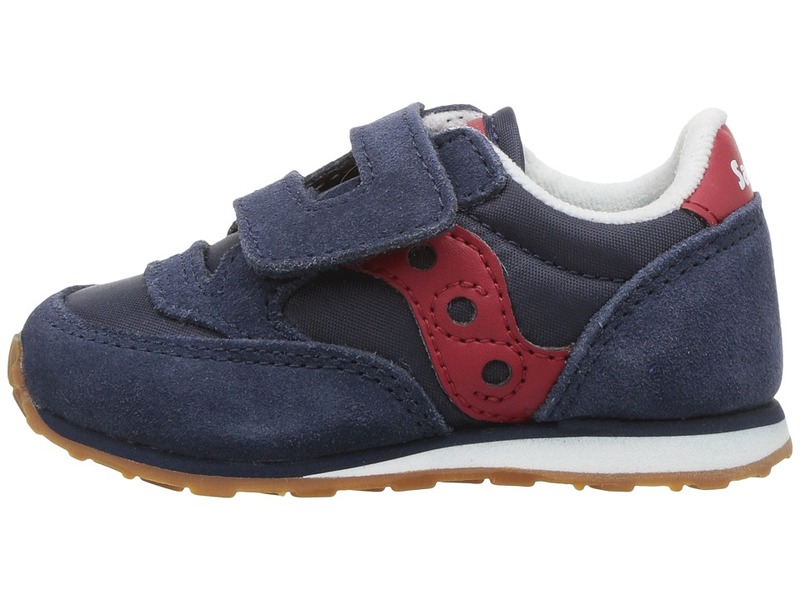 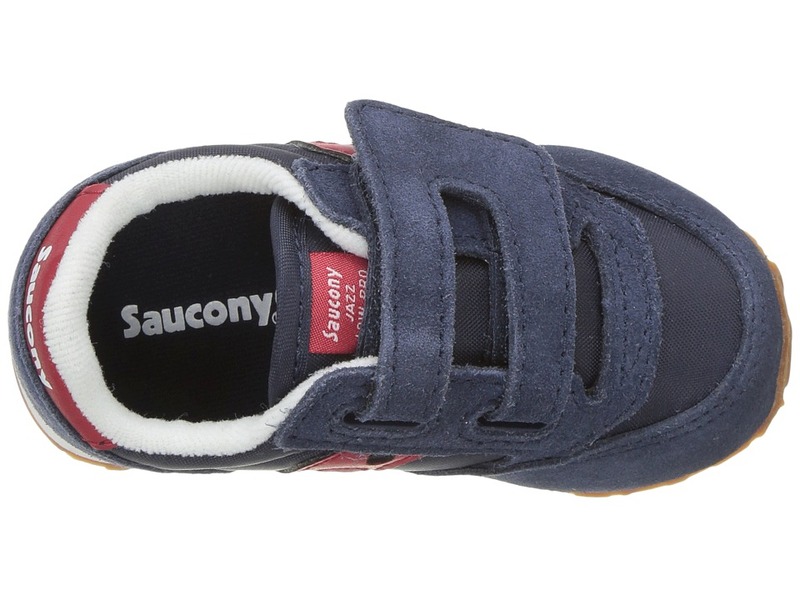 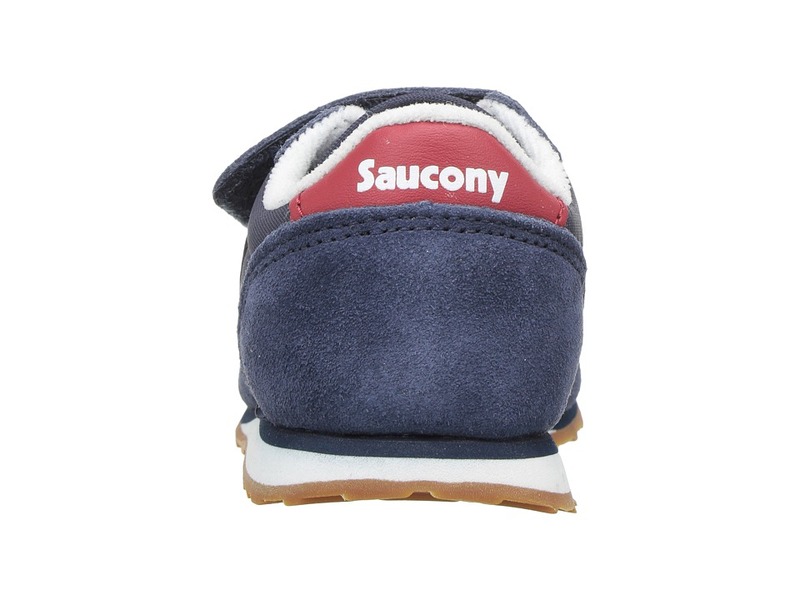 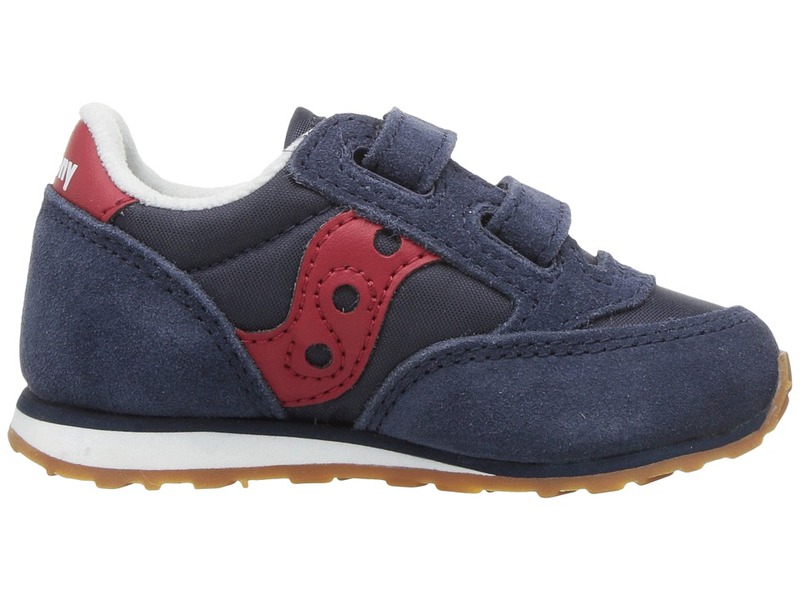 It’s never too early to get stylish with the Baby Jazz HL sneakers from Saucony Kids!Nylon and suede upper in a retro silhouette.Stitched elements for durability.Iconic side logo for a timeless look.Hook-and-loop closure opens wide to get chubby little feet in and out easily.Padded tongue and collar for all-day comfort.Textile lining.Cushioned textile footbed.Lightweight EVA midsole for cushioning that won’t weigh you down.Durable rubber outsole.Imported. 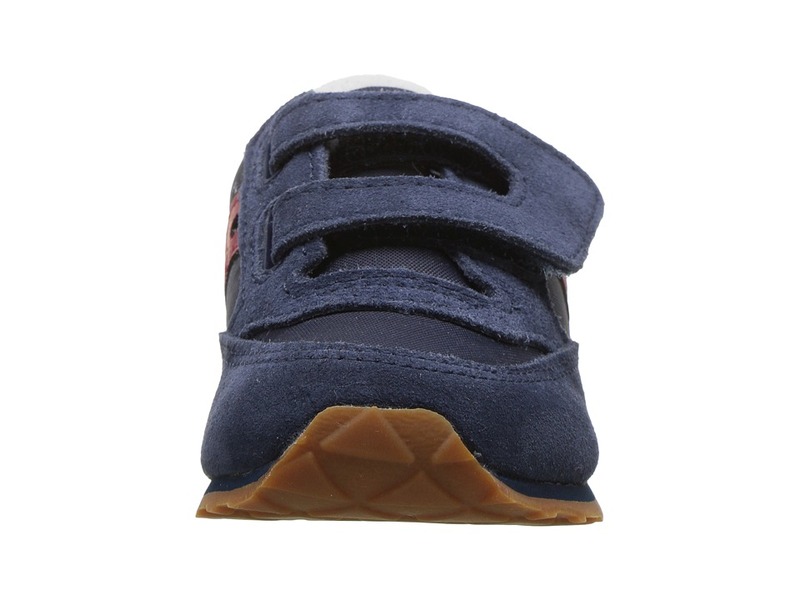 Measurements:Weight: 4 ozProduct measurements were taken using size 10 Toddler, width M. Please note that measurements may vary by size. 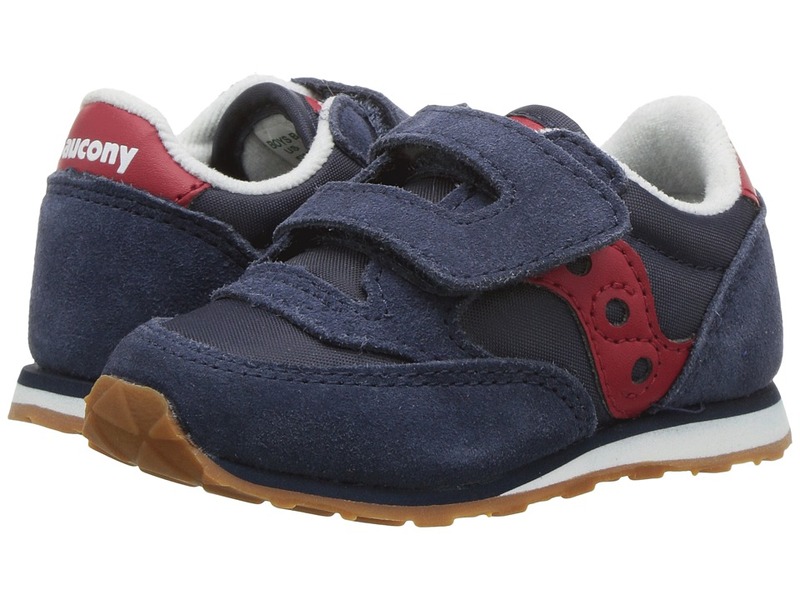 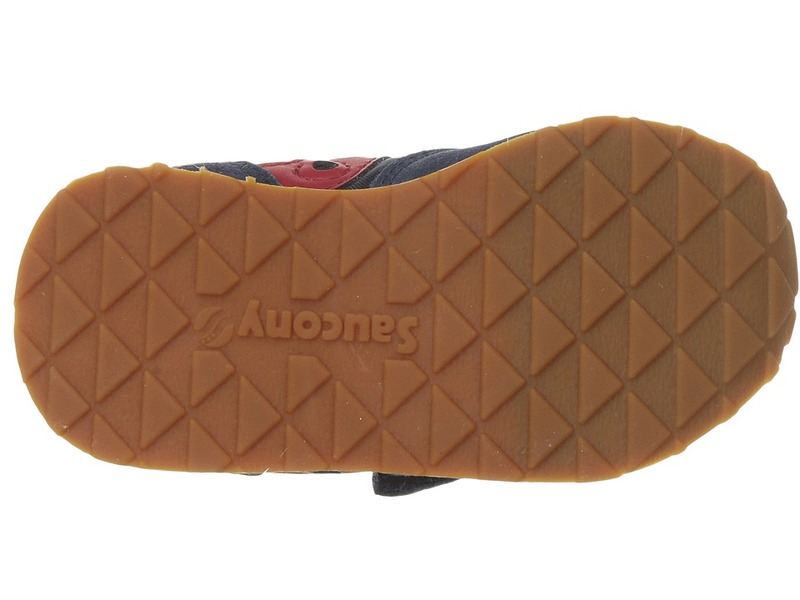 Be the first to review “Saucony Kids Baby Jazz HL Toddler Little Kid Boys Shoes” Click here to cancel reply.